A number of people have written to tell me that, as head of Intact America, I should go on record against the "male-body shaming" language in the new movie "Bad Moms." Last month, Intact America proudly marched in New York City Pride for the 11th year in a row. In an event already known for being outrageous, our big, bold float created quite a stir. Doctors should discuss possible complications with new parents. "I'm an intactivist and I think I'm fabulous." Here is another entry from a translation of the recently discovered Diary of Moses, originally scratched onto sheep's skin in a steady ornamental hand. Here is a translation from the recently discovered Diary of Moses, originally scratched onto sheep's skin in a steady ornamental hand. If you are one of the growing number of parents who leave their baby boys' foreskins alone, as nature intended, you might need to brace yourself for the holidays. Dear Family Whisperer: Grandma, Compromise Is Out of the Question! "Speaking of class differences..." began the distraught 60-something woman whom I'll call Elizabeth (in honor of the Queen). As she put down her glass of wine, she launched into a several-minute tirade about her daughter-in-law's decision to pierce the baby's ears. In her mind, it was not "right." "The Jewish people invented circumcision." "Circumcision is a matter of Jewish identity." "All Jews circumcise." People often make such assumptions. But are the assumptions valid? What many Americans are not aware of, however, is the fact that the United States is not just unusual, but actually unique among developed nations in finding such widespread medical support for infant male circumcision. 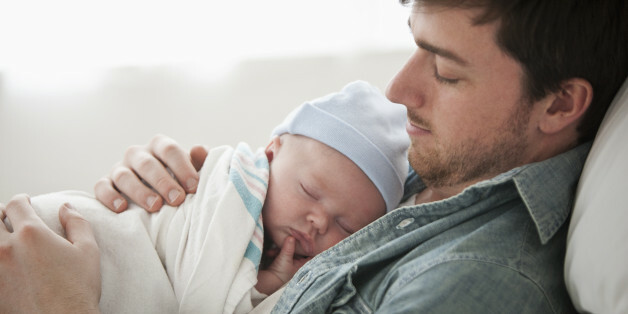 Circumcision is one of today's most controversial parenting topics. For some families, religious or traditional reasons make circumcision an obvious choice, but for others, it can be a tough decision. Our twins were due in two months via surrogacy in India, where clinics are prohibited by law from revealing the gender of a fetus. I'm half-Jewish, and while I'm not religious, Jake wanted to be certain that my children remained culturally "members of the Tribe." I was unconvinced that that required subjecting them to an optional surgical procedure. Voluntary medical male circumcision has made definite inroads in Tanzania through years of initial pilot projects, awareness and education campaigns, and a scale-up of VMMC services provided in health facilities and in mobile units. The approach seems to be working.